[Reuters] The Libyan government took control of Tripoli’s international airport on Friday from the militia that has run it since Muammar Gaddafi was deposed last year, an important step in its struggle to assert its authority over numerous armed groups. The ruling National Transitional Council now faces the challenge of showing it can maintain security and operate the North African country’s busiest airport, which reopened last November in the hands of the powerful Zintan militia. 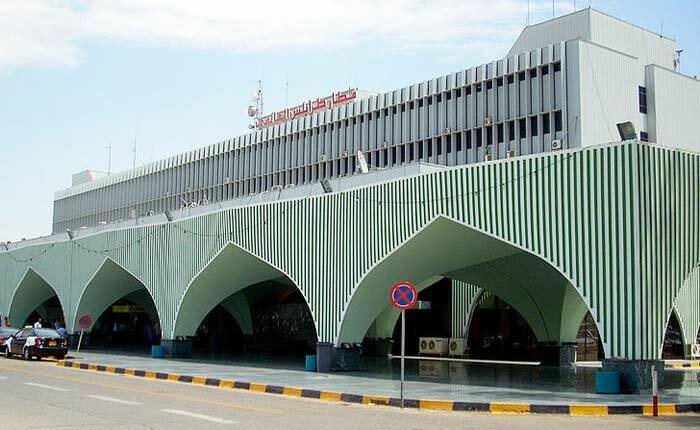 “Tripoli airport is now under the government’s control. We have today transferred power to the interior, defence and transportation ministries,” Zintan militia spokesman Adel Salama said in a speech at the handover ceremony. Elders and tribal leaders from Zintan, government and military officials gathered at the airport to witness celebrations for the handover, which followed months of argument about jobs and salaries for the militia’s members. Last time negotiations broke down in March, the head of the 1,200-strong Zintan force, Mokhtar al-Akhdar, stormed out of a meeting and announced he would resign, in a dramatic show of frustration. Akhdar said the government was not doing enough to provide jobs and security for the fighters who helped topple Gaddafi’s government last year. He was later brought back to take charge again until the handover….. It has almost been a year since Louis Farrugia was appointed chairman of Air Malta – 11 months, to be exact. It is now time for him to look back and try and draw up some kind of overview of what has been done and what results have been achieved, and to look at the present challenges and try to look at possible future strategies. It has, he tells me in an interview, been a very tough 11 months, with many board meetings – more than one a month. It is very clear that the task ahead is an enormous one. He and his team are trying to restructure an airline within the guidelines and targets set by the European Commission while at the same time keeping it operating, having continuous dialogue with the people employed by it as they decide about their future and motivating those who are staying as they adjust to a new work ethic, and holding talks with the government and stakeholders on the issues facing the airline. The restructuring plan calls for some €230 million to be invested in the airline of which €128 million will be represented by an increase in share capital and the rest sourced from the airline’s own resources such as the sale of subsidiary companies, private sector funding through banks, etc. This is a four-year plan: it is important not just to cut costs but also to find resources to reinvest. It is also important to remember that, although Air Malta was profitable in the first years of its existence, and has contributed mightily to the country’s economy and tourism, today it is being asked to make a profit at a time of financial instability and intense competition – not just in pricing but also with regard to the numerous destinations that have been opened and that compete with Air Malta’s established routes. The enormity of the task at hand can be understood also with regard to the EU negotiations, with guidelines that must be met and the articulation of a plan that fits within those guidelines. Restructuring also includes negotiations with the unions, not just on voluntary restructuring but also on facilitating the transformation of the airline to a true commercial basis with the creation of a new organic structure with new appointments. Negotiations with stakeholders included not only the government with regard to the increase in share capital, but also the banks as well as the commercial sector, such as the tourism trade and suppliers. The approval by Cabinet to increase the company’s share capital by €128 million over the next four years was a very important step that has been taken as part of this restructuring exercise…..
Read the full story from The Malta Independant Online…. 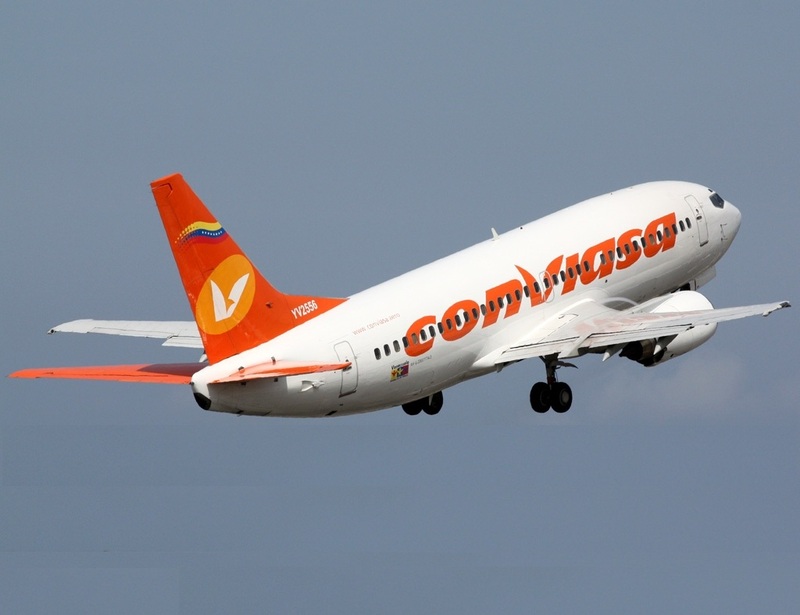 Budget airline faces European commission investigation of its arrangements with Carcassonne airport in southern France. The European commission has opened another flank in hostilities with Ryanair by announcing an investigation of the financial arrangements between the budget airline and Carcassonne airport in France. The inquiry follows similar scrutiny of affairs at a number of other European airports dealing with Ryanair and other low-cost airlines. The investigations are looking at whether subsidies given to the airports and marketing agreements with airlines breach EU rules on state aid. Carcassonne airport, owned by the Languedoc-Roussillon region, served just under 400,000 passengers in 2010, virtually all Ryanair’s. The commission says it “has doubts” whether public subsidies of at least €11m (£9.1m) between 2000 and 2010 for infrastructure projects at the airport were necessary and proportionate. Another €8m was given for operational activities. Meanwhile, the commission said, the airport gave Ryanair marketing support and discounts that “could give the airline an undue economic advantage”. Ryanair has in the past withdrawn services from a French regional airport, Angoulême, when local authorities refused to continue subsidies. The commission has recently also opened investigations into arrangements between Ryanair and airports in Germany and Austria. In 2004 it ordered Ryanair to repay funds from Belgian authorities to land planes at Charleroi airport – a ruling overturned four years later. Ryanair has issued a series of statements querying the EU’s investigations and rulings, as well as contrasting merger permissions, such as the British Airways acquisition of BMI, with its own thwarted takeover of Aer Lingus. Full story at the Guardian…. 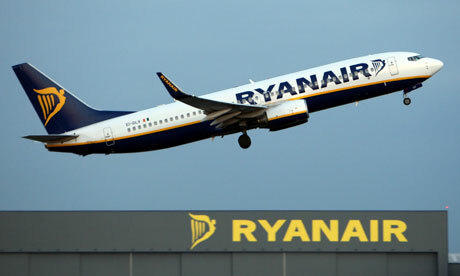 Ryanair today said it has evidence that the European Commission discriminates against low-cost airlines. At a press conference this morning, chief executive Michael O’Leary released copies of e-mails received from Amex, the commission’s travel agency confirming that it is not allowed to book low cost flights or reimburse travel expenses to and from Brussels Charleroi airport. The airline has called on the commission to explain its policy and to end the ban on budget carriers. Mr O’Leary first learned of the policy when he was invited by the commission to be a guest speaker at a conference last year. He was informed then that he could not be booked on a Ryanair flight to Charleroi, where the airline has a hub, and was offered a ticket on Aer Lingus to Zaventem, the main airport in Brussels. Lawyers for Ryanair filed a formal complaint with the European Court of Auditors earlier this month, asking it to assess “the legality, regularity and financial soundness” of the travel policy…..
Full story from the Irish Times…. [Worldwide Business Review] International Airlines Group has offered a limited number of extra concessions to try to secure regulatory approval for its acquisition of BMI British Midland, Lufthansa’s lossmaking UK subsidiary. IAG, parent of British Airways and Iberia, has sweetened its offer to the European Commission by increasing the number of valuable take-off and landing slots at London’s Heathrow airport that it would relinquish under the proposed deal from 10 to 14. In a high-stakes move, Lufthansa and IAG are increasing the pressure on the Commission to grant a quick approval of the deal by warning that BMI could face closure if Brussels proceeds with an in-depth investigation of the transaction that could last months. Joaquín Almunia, EU competition commissioner, must decide by March 30 whether to approve IAG’s purchase under Brussels’ phase one inquiry process. He is travelling to Washington early next week, adding pressure to the negotiations with IAG. IAG, Lufthansa and the Commission declined to comment. Lufthansa wants to offload BMI rapidly because it is heavily lossmaking. BMI reported an operating loss of €199m in the year to December 31, up from €145m in 2010. It blamed its UK subsidiary for pushing the German flag carrier to a €13m net loss in 2011. 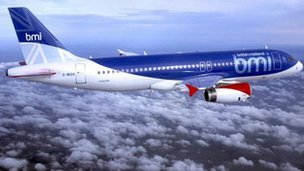 IAG is keen to buy BMI because it would give the Anglo-Spanish group the chance to expand at capacity constrained Heathrow. Virgin Atlantic, which failed with its bid for BMI, has been calling on regulators to block the IAG deal or extract big concessions on slots. Virgin has been highlighting the fact that BA, by combining with BMI, would become the sole provider of flights between Heathrow and Aberdeen, Basel, Edinburgh, Manchester and Nice. By buying BMI for up to £172.5m in cash, IAG would increase its share of Heathrow slots from 44.8 per cent to …..
Read the full story at Worldwide Business Review…..